and bring us back a Bulletin from your travels. Sung Mass at 9:30 am. Nursery provided from 9 am on wards. January through March Ministry Schedule: At Narthex and Parlor. Soon to post on line. End of year giving statements for 2018: Were mailed earlier this month. If you did not receive yours, please call the office. At the Annual Parish Meeting this evening, we will be electing 3 new members of the Vestry, and three Delegates to the Diocesan Convention. The qualifications are: 1) Confirmed member over 18, 2) Giver of record, and 3) Must be a communicant in good standing. One of the most misunderstood theological and biblical topics in the world today is the end times. When will it be? What will happen? Will I be going up or down? If you can already define the following, then this class might not be for you: eschatology, Amillennialism, Dispensational Premillennialism, Historical Premillennialism, Postmillennialism – then maybe this class isn’t for you. This week, we will begin looking at “The four Last Things” by looking at the fifth thing. We will ask: What ids purgatory and is it real? If not, come and join us after the 9:30 am Eucharist this Sunday. Book Study: The Imperfect Disciple Book Study will conclude this Wednesday, February 27 at 7:00 pm with Chapter 10. 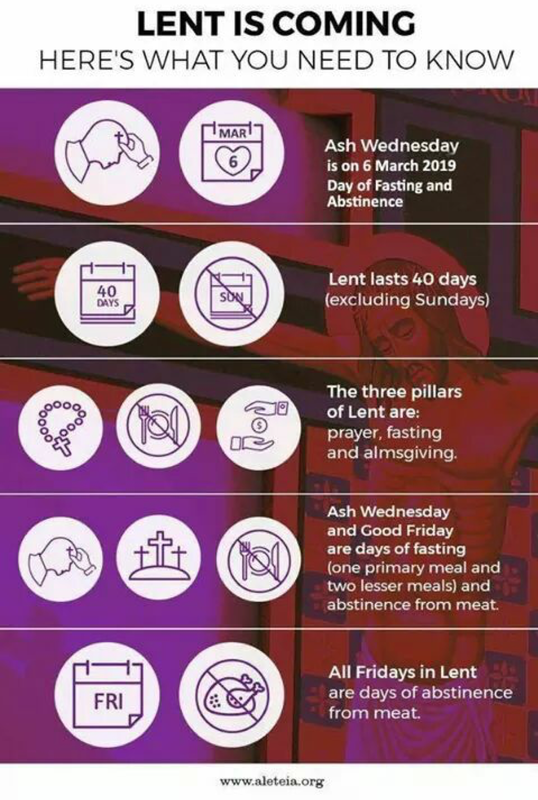 Lenten Program 2019: Our Lenten programs will be held on March 20, March 27, April 3, and April 10. Our program this year will be “Reading and Meditating on God’s” We will take sometime to learn how we might engage. March 20- How to read God’s Word- Have you ever struggles with reading the Scripture? Have you ever wondered if some of those passages have anything to do with what you are struggling withi in your own life? Terry Jacobson will be with us to help us understand how we might read God’s Word with an eye towards spiritual growth. March 27- Lectio Divina- Lectio divina (Pronounced “lec-tsee-oh di-vee-nah”), Latin for “sacred reading,” “divine reading,” or “holy reading,” is a spiritual practice that has been in use for over a thousand years. Lectio divina is an intimate way of communicating with the Lord. All too often in prayer and worship, we talk to God but don’t give him a chance to communicate back to us. Lectio divina employs God’s own words to have a personal conversation with him. We will practice this technique. April10- Praying with God’s Word- How do we use the words of Scripture to form prayers that express our needs to God? How can the Word of God help us in our prayers? Pastor Bob Uzzel of Bethel A.M.E. church will lead us through a discussion of how Scripture can be the basis of our prayers. Will meet February 26, at 5:30 pm, in the Parlor. All are welcome to attend. 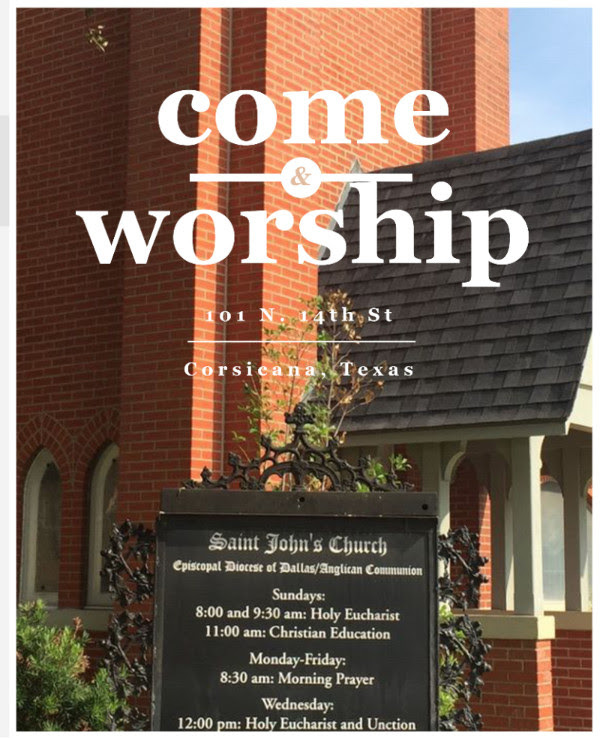 If you, or someone you know, would like to be included on the parish visitation schedule, please contact the Church office at (903) 874-5425 or st.johns.corsicana@gmail.com. Lay Eucharistic Visitors will be visiting on the first Sunday of each month, and Fr. Monk will be scheduling visits during the 3rd and 4th week of each month. Let us know your needs so we can meet them. Hospital and other visits scheduled once we are notified. Brisket dinner will be served. Please RSVP to Fr. Monks invitation sent out today. 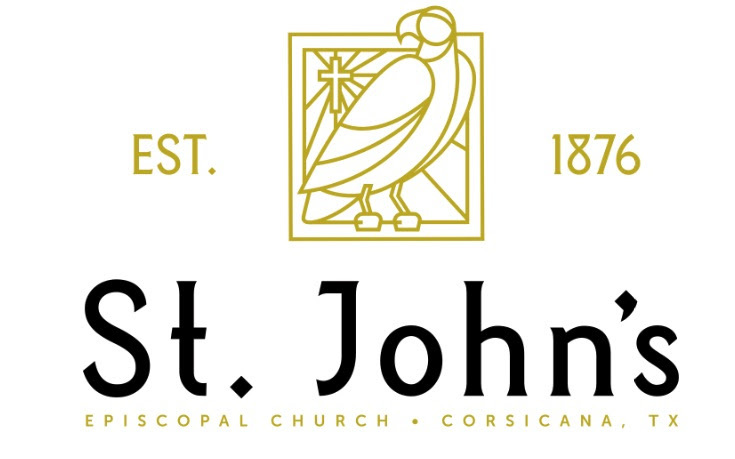 All members of the Church are encouraged and expected to attend this Annual Meeting of the Parish. THE FLOWER DONOR CHART is on the bulletin board by the Parlor. Sign-up to give flowers in memory or in thanksgiving of a loved one, or you may call or e-mail Annie Avery at (903) 874-5425 – e-mail st.johns.corsicana@gmail.com . What a great way to honor or remember those who are important in our lives! Dates available: 5/5 & 6/9, 6/16, 6/23, For more information see notice posted on Parlor wall. THE DAUGHTERS OF THE KING is an Order for Episcopal women founded in 1885. We are a prayer and service group. We regularly take part in worship, study, and aid our Clergy as asked. If you are interested in more about us, please call or e-mail Rena Sutphin (972) 935-3455 or renasutphin@yahoo.com. PRAYER FOR OUR PARISH Almighty and everliving God, ruler of all things in heaven and earth, hear our prayers for this parish family. Strengthen the faithful, arouse the careless, and restore the penitent. Grant us all thing necessary for our Common life, and bring us all to be of one heart and mind within your holy Church; through Jesus Christ our Lord, Amen.